The Philippines government’s war on drugs is “far from” the terror campaign depicted by members of the country’s Catholic church, according to a spokesperson for President Rodrigo Duterte. Despite 2,500 killings being linked to police and Duterte’s candid statements that authorities are encouraged to kill suspected criminals, government spokesperson Ernesto Abella said a “reign of peace” is taking place. It follows a denouncement of the island nation’s policing by members of the Catholic Bishops’ Conference of the Philippines (CBCP). According to Reuters, members of the religious organization attacked a “reign of terror” being waged by authorities in the poorer parts of the country in their sermons. But the government has hit back, saying the CBCP is “out of touch” with society. “The officials of the Catholic Bishops’ Conference of the Philippines are apparently out of touch with the sentiments of the faithful who overwhelmingly support the changes in the Philippines,” presidential spokesperson Ernie Abella said in a statement. Church leaders might contribute to a “reign of peace felt by ordinary citizens” by helping to “build strong moral character” among worshipers, Abella added. Since his election, President Duterte has taken a hard line in his government’s effort to stamp out crime and drug dealing. 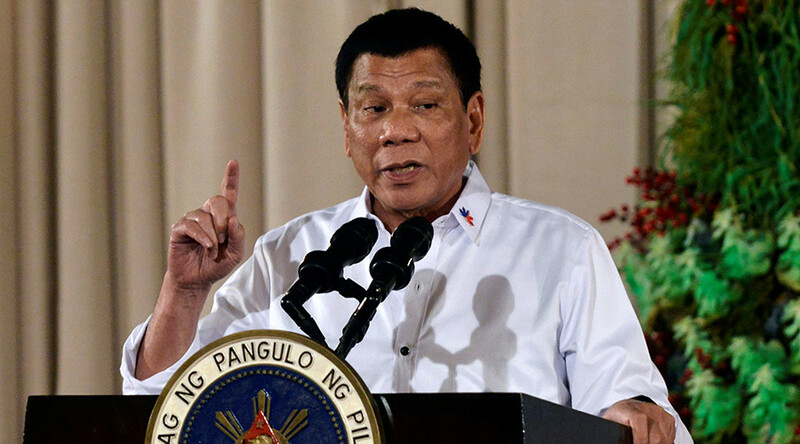 More recently, Duterte threatened to hang criminals “like curtains” if given the power to restore the death penalty. He also admitted that military and police had been encouraged to kill suspected narcotics gang members. “The drug lords and the pushers are there, we will destroy them. I have ordered the military to destroy them. I did not order the military and the police to conduct a police operation. 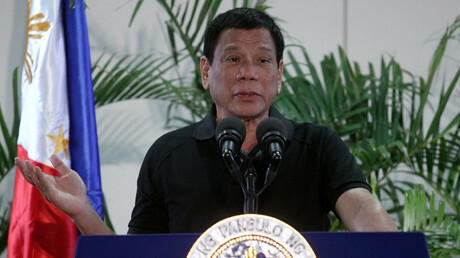 That’s nonsense,” Duterte told delegates at power plant opening ceremony last month. The Catholic Bishops’ Conference has also come out against Duterte’s pledge to bring back capital punishment, which ended in 2006. A bill to reinstate the death penalty is currently being debated in the Congress of the Philippines. “Though the crime be heinous, no person is ever beyond redemption, and we have not right ever giving up on any person,” the president of the CBCP, Archbishop Socrates Villegas, said in an open letter.